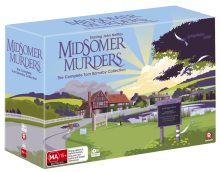 The Midsomer Murders Complete Tom Barnaby Collection DVD box set is a limited Edition 47 disc set which includes every case from D.C.I. Tom Barnaby’s career from Season 1 through 13. That's all 81 tales of murder, mystery and mayhem including a casebook of Special Features. Nothing is quite as it seems behind the closed doors of Midsomer County’s chocolate-box cottages and picture-perfect English countryside. The rural neighbourhoods are a hotbed of jealousy, intrigue, betrayal and murder as D.C.I. Barnaby and his sergeants investigate deadly deeds and gruesome goings-on. More than 130 suspicious deaths – including 110 murders, six suicides, five deaths from natural causes and eight accidents – have befallen the residents of Midsomer since the series began in 1997. Caroline Graham’s book, The Killings at Badger’s Drift, which inspired the series, was voted one of the top 100 crime novels of all time by the Crime Writers’ Association, and 16 years later, the Midsomer Murders series has become a phenomenal hit in over 205 countries. Investigate the clues and become a Midsomer super sleuth! 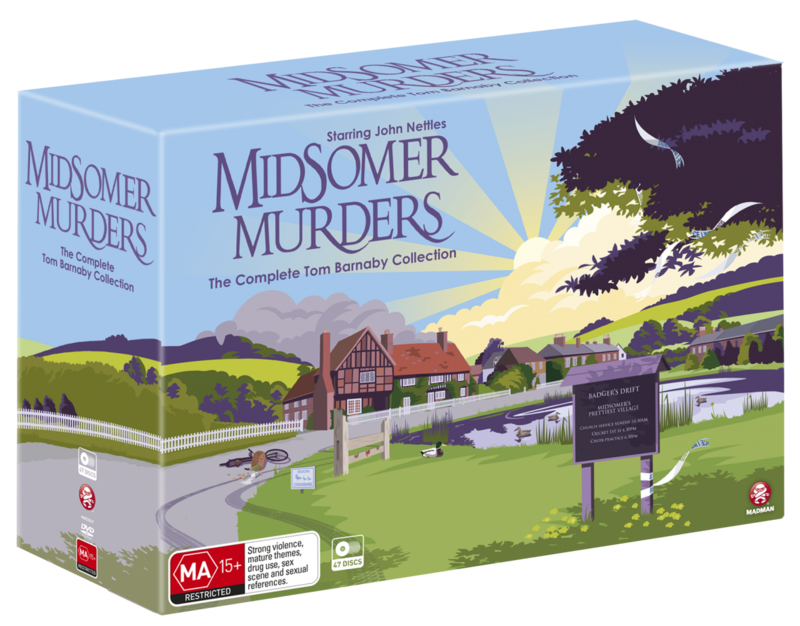 Click the button below to add the MIDSOMER MURDERS - COMPLETE TOM BARNABY COLLECTION to your wish list.